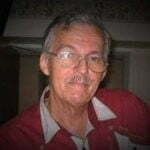 Robert Jeffery Ogden, better known as our Ever Lovin Pepa, 73, of Gainesville, Florida, passed away on November 4, 2018. Jeff was born in Elizabeth, NJ on January 12, 1945. He went on to serve in the United States Navy from 1965-1967. After his honorable discharge, Jeff eventually settled down in Gainesville and opened his own business, Jeff Ogden Signs, where he continued to work for over 30 years. Jeff was married to Evelyn Marie Ogden on December 19, 1986 and remained happily married until Evelyn’s passing in 2001. Jeff was a humble man with a good heart who enjoyed listening to and creating both music and art, taking in the outdoors, toiling in his beloved garden and spending time with his friends and family. He was also actively involved in the VFW and the WallDogs (Muralists). Evidence of his donated time and work can be appreciated around Gainesville, the surrounding areas, all along the south eastern United States, and as far west as Lodi, California. 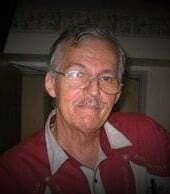 Jeff is survived by his grandchildren, William Hersey, Shaina Johns, Racheal Oldman, and Kaley Gillum; his great grandchildren, Sean Johns, Cameron Johns, Jordan Johns and Sabrina Oldman; his closest friend, Larry Shealy and his daughter Jenine Ogden Gillum, among other family and friends. Jeff is preceded in death by his wife Evelyn and two sons, John and Wesley. In lieu of flowers memorial donations may be submitted at https://www.gofundme.com/ever-lovin-pepa&rcid=r01-154152966281-d8d770139298435f&pc=em_co_campmgmt_w. The funeral service will be held at 12:00 PM on November 20, 2018 at the Florida National Cemetery for Veterans, located in Bushnell, FL. Family and friends are welcome to speak and pay their respects aloud if they would like to.